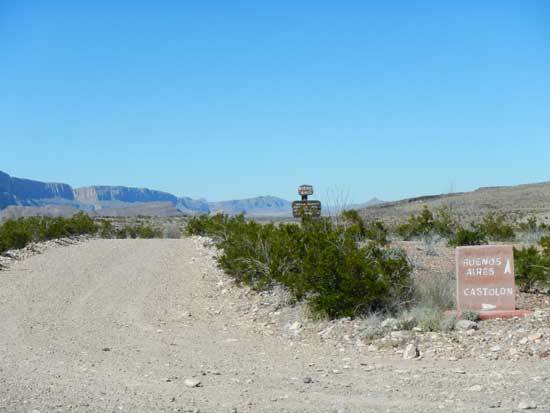 River Road in Big Bend National Park is a 51 mile primitive road that runs along the Rio Grande River, from Castolon to just West of Rio Grande Village. During the hottest parts of the year, this area is probably best avoided, as it gets much hotter along the Rio Grande than the rest of the park. There are multiple backcountry campsites off of River Road. In this post we’ll only cover the sites on River Road West, covering the 28 miles from the entrance off of Ross Maxwell Scenic Drive, on the West side of the park, to Woodsons Road. You can check out the backcountry campsites on River Road East here. 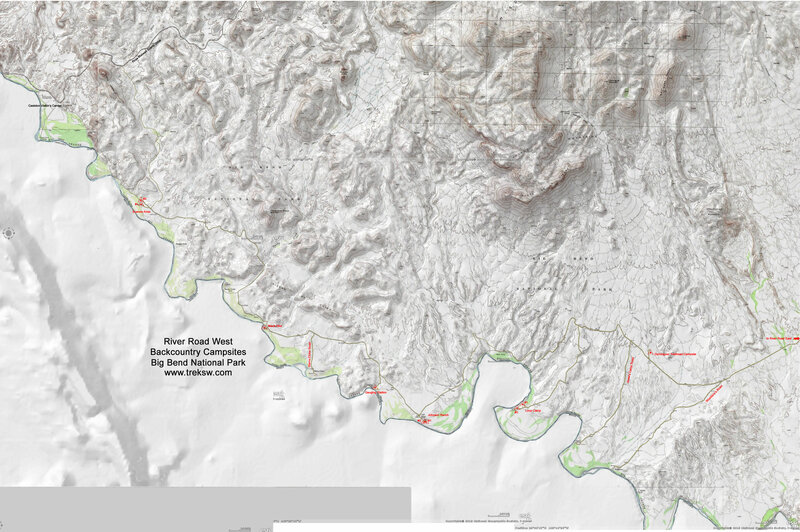 Click here for a large topographic map of River Road West (2.3 mb). The West side of River Road is not very well maintained, so you’ll need a high clearance vehicle, a four-wheel drive is preferred. Don’t forget, before heading out there, you need to get a backcountry use permit prior to using these sites. 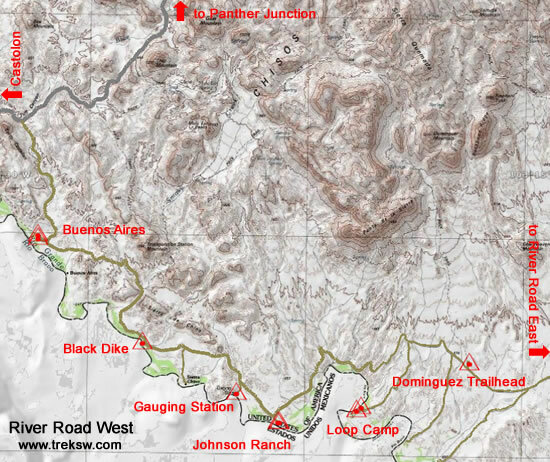 To get to the West Entrance to River Road from Park Headquarters at Panther Junction, take a left out of the parking lot and head West about 13 miles to the left hand turn to Castolon (the Ross Maxwell Scenic Drive). From there, you’ll drive approximately 21 miles South to a left hand turn onto River Road (29.147309, -103.491017). 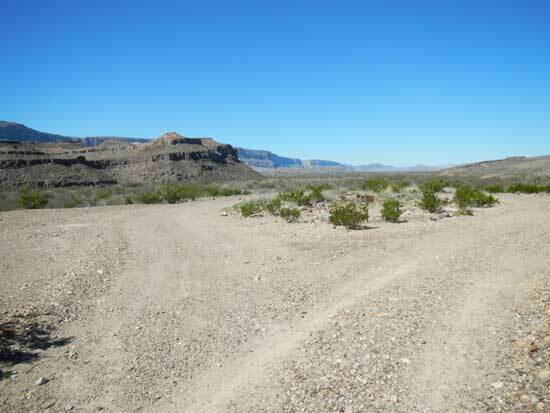 Castolon is approximately 2.5 miles further down Ross Maxwell Scenic Drive from the entrance to River Road. Remember that River Road has the highest incidence of vehicle break-ins than any other backcountry area in the park. Make sure that you lock it up and don’t leave any valuables in it. The Buenos Aires Campsites will be the first campsites you encounter as you travel East along the road. One problem that you may encounter is people accidentally driving into your camping area when passing through at night. The entrance to the campsite is easy to confuse for a continuation of River Road, while travelling West, if you aren’t paying attention to the signs. Buenos Aires has two campsites. Campsite #1 (29.098955, -103483091) sits on a hill overlooking the Rio Grande, has plenty of room for parking, and two cleared areas for setting up your tents. Accommodates 2 vehicles and 10 people. Campsite #2 (29.100312, -103483237) sits just North of the hill that campsite #1 is located on. This site has far more brush and doesn’t offer the same views that you’ll get at campsite #1, but it makes up for that in privacy. Accommodates 2 vehicles and 8 people. 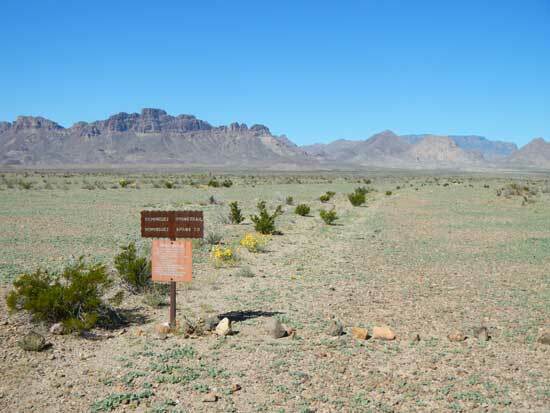 Black Dike is one of only a couple of shady campsites in the entire park. (29.055626, -103.433371). Accommodates 2 vehicles and 10 people. 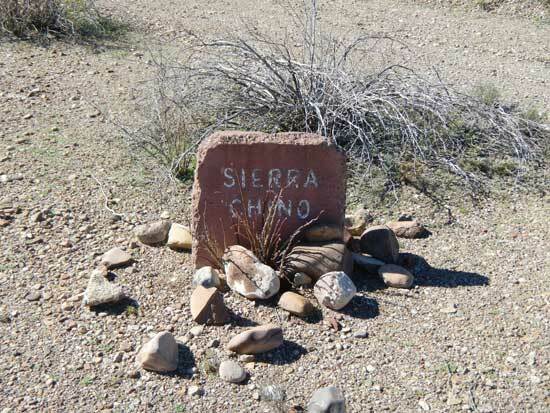 Just past the Black Dike turn-off on River Road, you’ll see another turn-off for Sierra Chino. 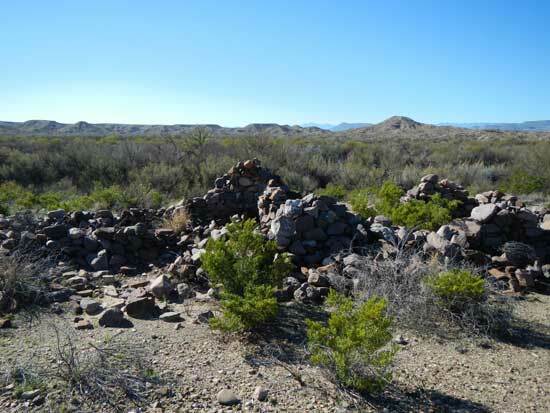 There aren’t any backcountry campsites here, but there are the ruins of an old homestead. 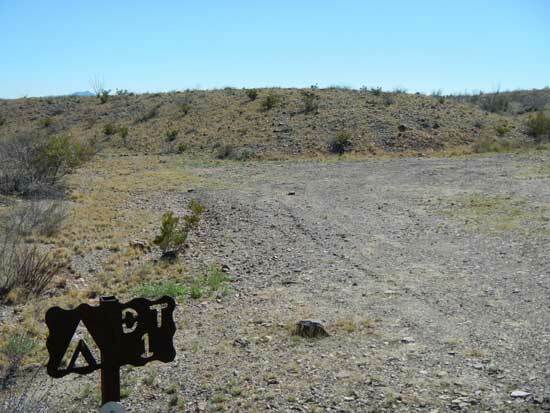 Unfortunately, when we passed through here to make this post, somebody was out at this campsite (29.035243, -103.390842) and we couldn’t get any video or pictures. We’ll have to grab it when we pass back through next time. Accommodates 1 vehicles and 6 people. 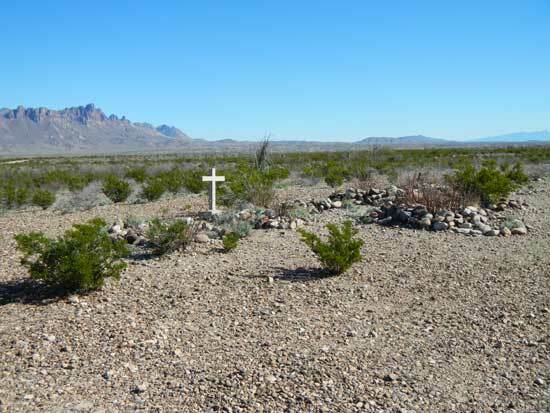 Once you turn off to the Johnson Ranch Campsites, keep an eye out and you should be able to see an old grave site on the East side of the road. 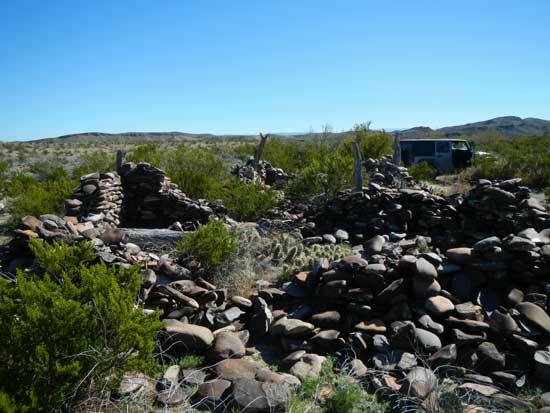 Continuing down the road toward the campsites, you’ll pass the ruins of the old Johnson Ranch. 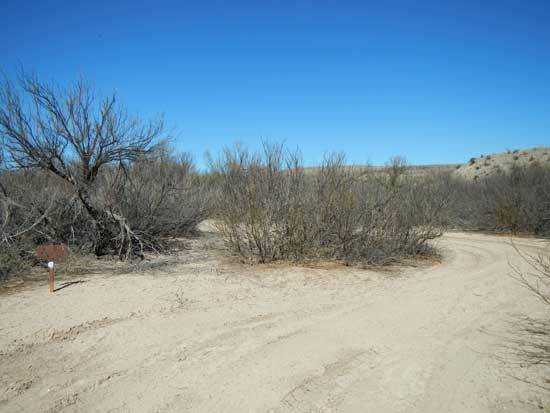 The road winds around the ruins of the main house and down the hill to the two Johnson Ranch campsites. Campsite #1 (29.022964, -103.369221) is the slightly more shaded and secluded of the two sites. Accommodates 2 vehicles and 10 people. Campsite #2 (29.022931, -103.369924) is not very far away, so if your neighbors are noisy, you’ll hear it. Accommodates 2 vehicles and 8 people. The Loop Camp Campsites are very remote. They are also very close to Mexico. 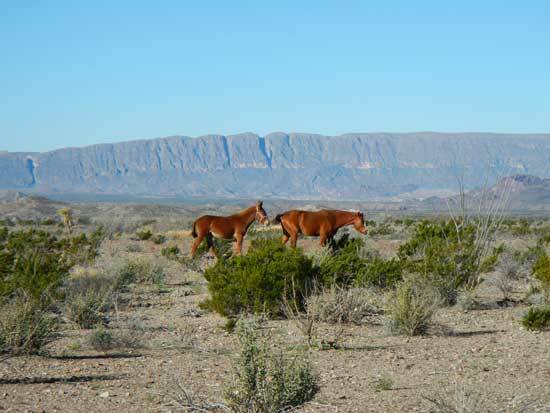 When we passed through here, we ran into a mule and a horse that had wandered across the river from Mexico. 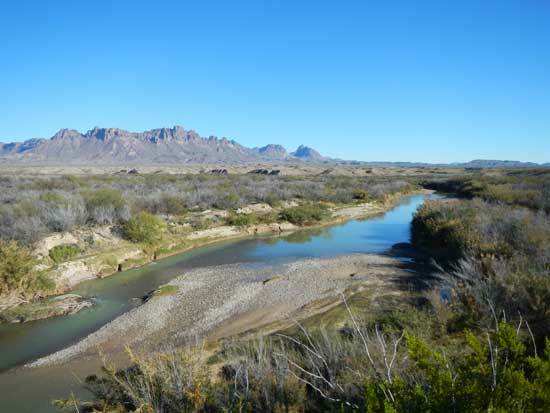 The interesting thing about these campsites is that, based on the way the Rio Grande River winds around this outcropping of land, you’ll be pitching your tent South of Mexico. Campsite #1 (29.029093, -103.330554) offers great views of the Rio Grande River from the top of a ridge. Accommodates 3 vehicles and 12 people. Campsite #2 (29.027799, -103.332674) doesn’t offer the same great view as #1, but it still sits very close to the river. Accommodates 2 vehicles and 8 people. Accommodates 2 vehicles and 8 people. As you’re going down River Road toward Dominguez Campsite, you’ll pass a road on your right to Jewel’s Camp. At one point in time there were backcountry campsites down this road, but the park no longer maintains them. 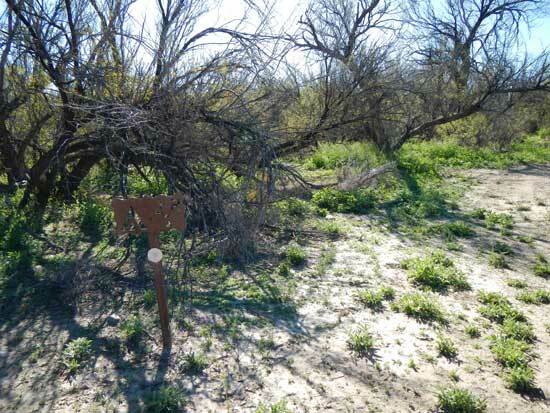 Dominguez Trailhead campsite is the only campsite that you’ll find on the North side of River Road West. 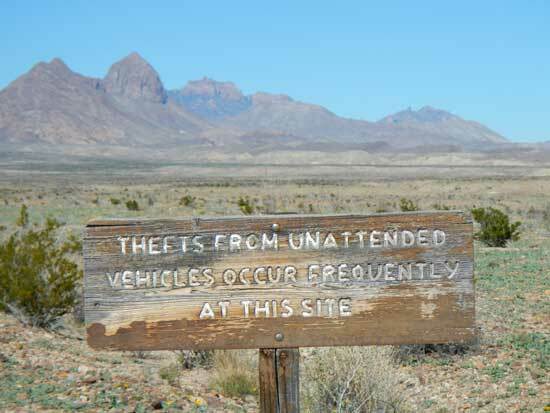 When you take a left onto the road to the campsite, you’ll get a reminder that there are a number of vehicle break-ins in the area. Don’t leave valuables in your vehicle, and keep it locked. 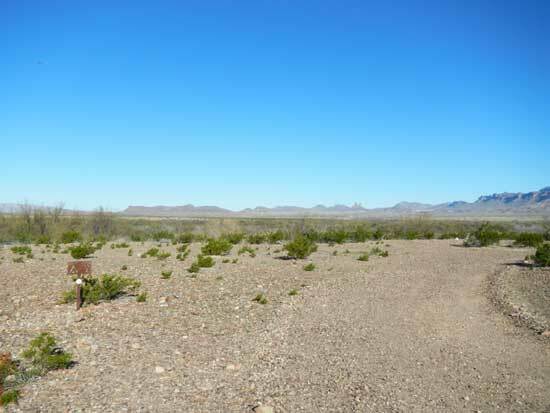 On your way to the campsite, you’ll pass the trailhead for Dominguez Spring Trail, a 14 mile round trip hike. The campsite is a little further past the trailhead, and hidden by some low hills. 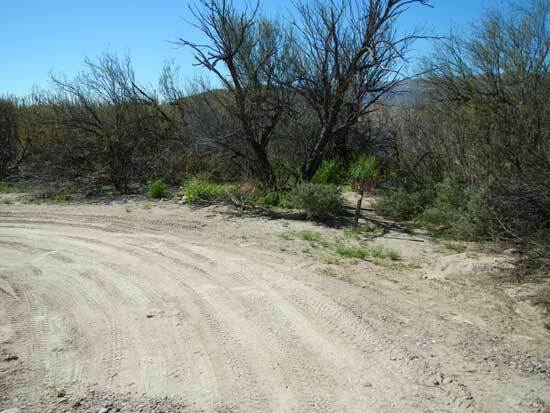 Just past the entrance to Dominguez Campsite on River Road, there will be another road to the right leading to Woodsons. 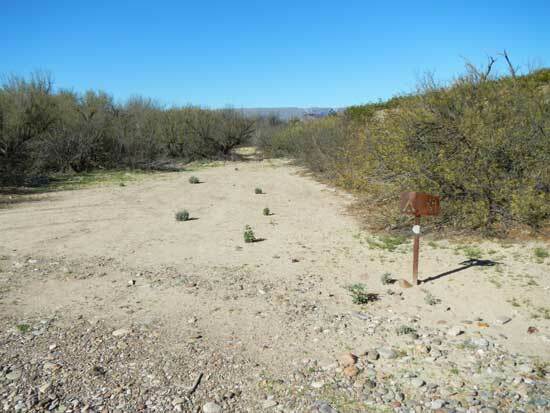 This is another area that used to have backcountry campsites, but the park no longer maintains this area either.